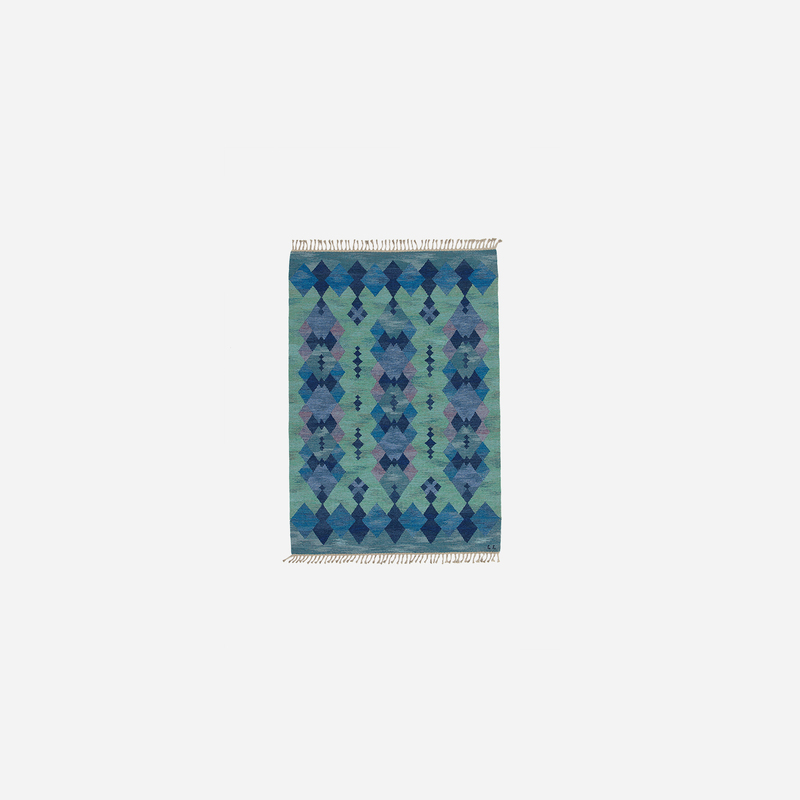 This rug has all the common characteristics of the best Swedish textiles, and yet we've never seen one quite like this. 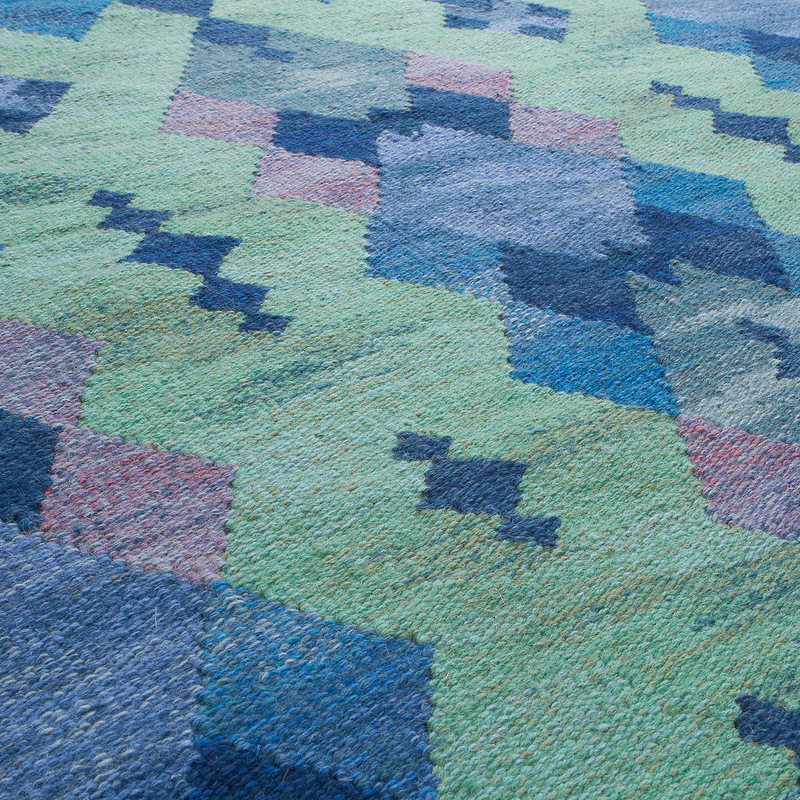 Its sharp geometric shapes can be likened to the repetition of fractals. 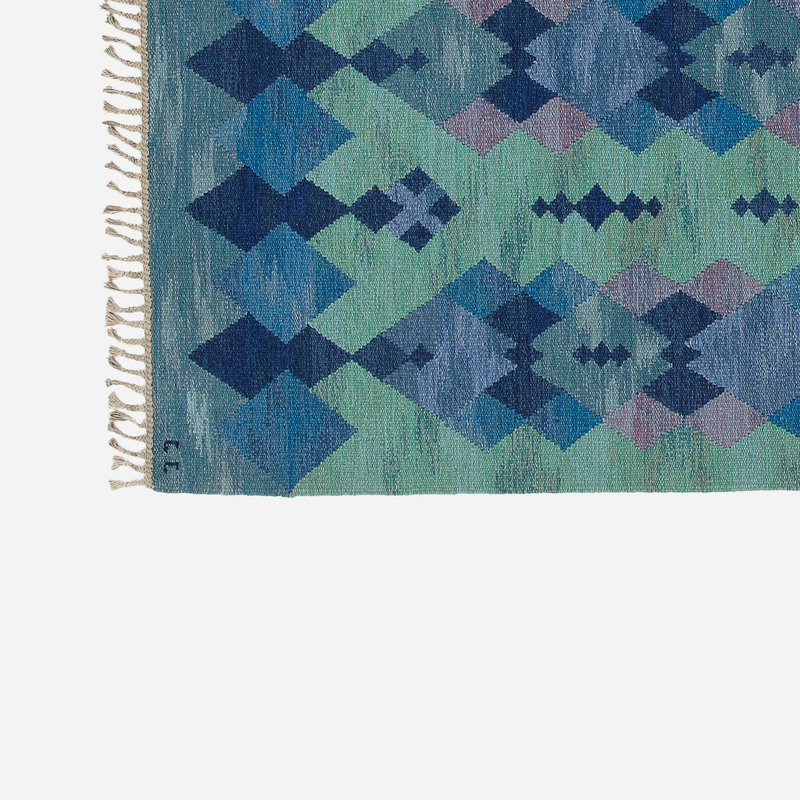 The artist, Judith Johansson, is world-reknowned and designed some of the most beautiful and modern-looking Scandinavian textiles of the 1960’s. The color composition and construction is complex. 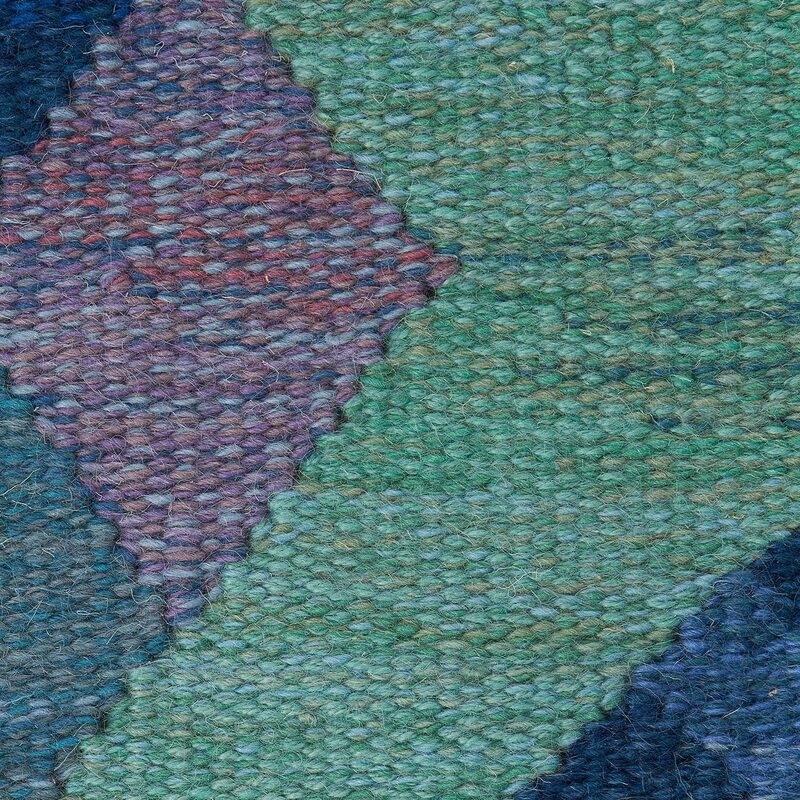 From a distance you see a handful of distinct colors, but upon close examination there are possibly thirty shades of color blended into the fabric. 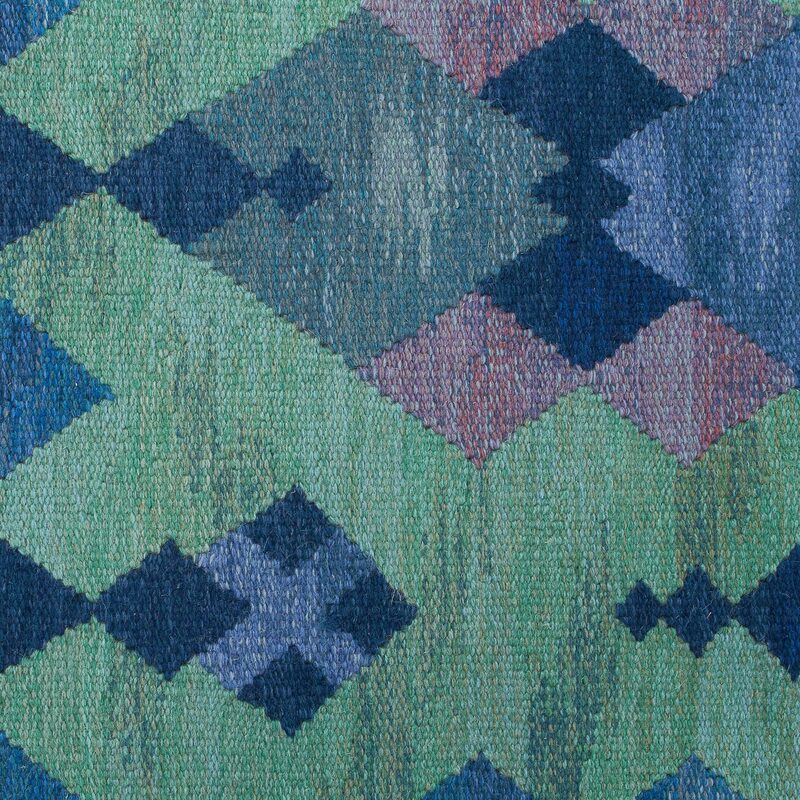 The result isn't a uniform, static coloration but subtle nuances that can change depending on where you’re standing or the time and light of day. 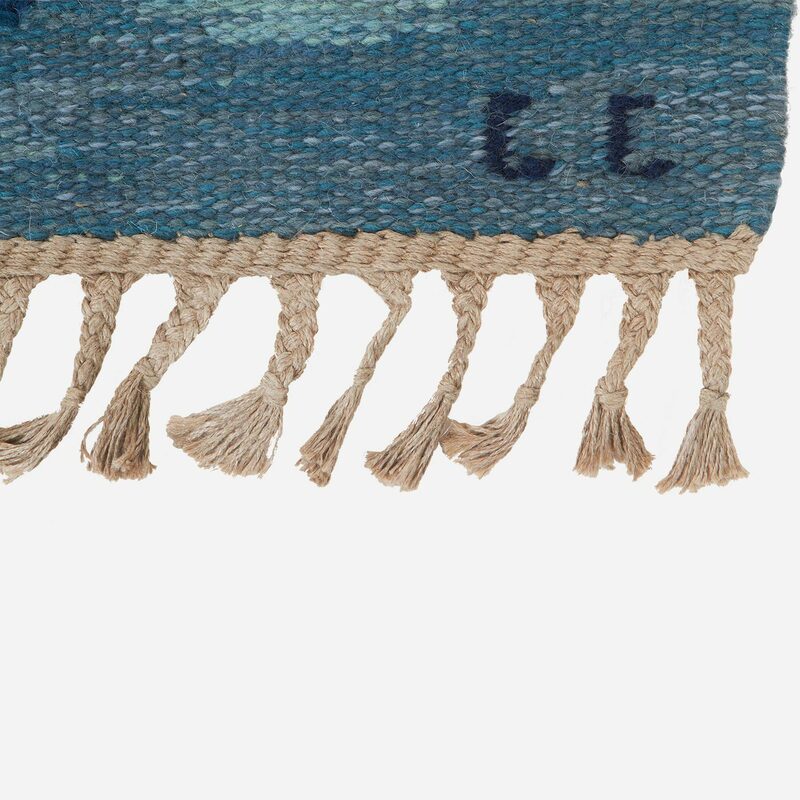 This rug measures 8'3" X 5'7", an ideal and popular size for most homes.